This website is operated by Direct Mail Impressions. 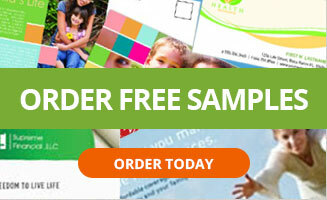 Throughout the site, the terms “we”, “us” and “our” refer to Direct Mail Impressions. 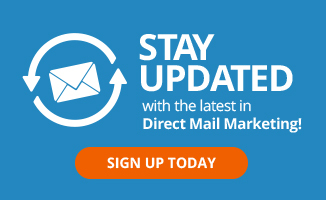 Direct Mail Impressions offers this website, including all information, tools and services available from this site to you, the user, conditioned upon your acceptance of all terms, conditions, policies and notices stated here. DMI does not issue refunds. Please refer to our warranty section. The following policy regarding order cancellations applies: DMI must receive an order cancellation form prior to the order entering the production stage. It is DMI’s discretion as to when the order enters the production stage. If DMI has determined you are eligible to cancel then a company credit which can be used for any future product or service will be issued. The credit amount will be based on the amount of product/service ordered, but may include a $150.00 order cancellation fee. No company credit or refund will be issuedafter the order as entered the production stage. Because each order produced is a custom job no order may be returned for credit under any circumstances. DMI at its sole option will repair or reprint any order that contains abnormal imperfections, fails to provide a reasonable representation to the approved color proof or where we have failed in your written instructions. DMI at its sole option may elect to provide a prorated credit in lieu of a reprint if the shortage, defective or damaged portion of an order does not exceed 20% of the ordered amount. Claims for defects, damages or shortages must be made by the customer in writing within (10) days after delivery. The customer must receive a written authorization to return a defective order or portion in advance of return. Defective orders must be returned within (30) days after delivery. DMI’s sole liability shall be limited to the reprinting of any defective order or portion and in no case shall include special or consequential damages including customer expenses, profits or profits lost. 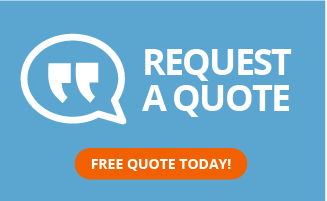 Delivery schedules, turnaround times and other similar terms used by DMI merely reflect the average completion time of similar orders and will be affected by run lengths, special customer requirements, workloads, holidays or equipment breakdowns. It is not contractual unless agreed in writing. Nigital Information: All artwork and data files supplied to DMI for production by the customer must be provided following DMI’s written guidelines. The customer accepts all responsibility for all files that fail to output properly, contains errors or provide an unacceptable result. DMI will make every effort to discover problems in the disk preflight stage but accept no responsibilities for errors not detected. Digital Image files supplied by the customer are the exclusive responsibility of the customer and DMI accepts no responsibility for the color accuracy or quality of these files. Customer changes represent work performed in addition to the original specifications. Such additional work shall be billed at our current rates. Customer changes will delay the completion and delivery of your order. The customer must sign a revised Invoice/Order Acknowledgement to approve these costs. Proofs: If you are submitting a digital file, you must submit a composite laser proof and color laser proof with your order. DMI will submit a PDF proof for your approval. If you do not also submit laser proofs as required, DMI will not be held responsible for any errors or omissions. If DMI provides art work or is instructed by a customer to modify a file, we will email a PDF proof. Corrections to be made must be E-mailed. Delay in the E-mail with corrections will delay the completion of your job. DMI assumes no liability for errors contained in the job if proofs are waived, errors in the proofs are not communicated via e-mail or if changes are communicated verbally. A proof is not approved for production until an approval e-mail with the words approved are received. DMI is not responsible for lost, damaged, or shortage of materials furnished by the customer. If you are concerned with the color of your card, please contact your representative to purchase a color proof. You will see this proof before signing off on any printing. Because of the differences in equipment, paper and inks and other conditions between color proofing and pressroom operations, a reasonable variation between color proofs and completed job is expected, unavoidable and shall constitute an acceptable delivery. Printing products are produced in a gang run and limitations of this format may result in a larger color variance than normal. DMI will make every effort to produce a reasonable representation based on materials supplied by the customer; however, DMI does not guarantee color matching. DMI shall require cash payment in full at the time the order is placed. A $35.00 fee will be charged on all returned checks in addition to the original amount due. The customer affirms ownership or publication rights to all artwork, photos, and other materials submitted for printing and agrees to indemnify and hold harmless DMI from any and all loss, cost, expense and damages on account of any and all matter of claims, demands, actions and proceeding that may be instituted against DMI on grounds that said printing violates any copyright or any proprietary right of any person, or that it contains any matter that is libelous or scandalous, or invades any person’s right to privacy or any other personal right. The customer agrees to, at the customer’s own expense, promptly defend and continue the defense of such claim, demand, action or proceeding that may be brought against DMI provided that DMI shall promptly notify with respect there to. The industry average for returns on non-deliverable mail is 10%. If the list you use in mailing your postcards was purchased through DMI we will only assume responsibility for amounts above 10% if the list has been used within a year of purchase. DMI will give a credit toward future mailing for any amount returned over 10%. DMI is not responsible for the maintaining or storage of mailing lists you have provided to us or purchased through us beyond the current mailing. However we will make every effort to keep your personal mailing list(s) and any unlimited use mailing lists you purchased from us, for a period of 1 year. After 1 year any mailing lists we have on file for your will no longer be kept on file. All shipping charges are in addition to the selling price of the job. We ship Fed Ex F.O.B. Boca Raton, Florida. We do not guarantee Fed Ex’s service. Delivery time varies based on delivery service selected. All mailing services will be delivered through the US Post Office. Your invoice/Order Acknowledgements must be signed to authorize us to process and deliver all mailing through the US Post office. Our proof of delivery is your postage statement which will be furnished upon the customer’s request. Once mail is delivered to the US Postmaster, DMI holds no responsibility. Delivery times vary based on your mail class and mailing destination. It can take anywhere from 3-15 plus business days for mail delivery through the US Post office. Artwork, type, film, digital files and plates produced by DMI in the ordinary course of production remain the exclusive property of DMI unless otherwise agreed to in writing. Inventory: DMI will store your mail collateral for up to 90 days with no activity. After 60 days, we will contact you to determine if you would like to mail again, discard the collateral or have them shipped to you. Storage fee will apply after 90 days. The delivery date given is an approximate based on the normal turnaround time. DMI is not responsible for delays caused by the USPS and our responsibility ends when the job is delivered to the Post Office. Under no circumstance is a refund or credit issued for the cost of postage after the product has been dropped at the Post Office. DMI is only liable to the extent of re-mailing a job to correct or rectify an error. Damages shall be limited to the value of the work performed and in no case in DMI liable for loss of business, incidental or consequential damages. The client will hold DMI harmless in any suit or court action by themselves or by others for costs, expenses, or alleged damages. Artwork Storage: DMI will make every effort to keep the final version of your artwork on file for a period of 2 years. After 2 years, your artwork will no longer be kept on file. In no case shall Direct Mail Impressions, our directors, officers, employees, affiliates, agents, contractors, interns, suppliers, service providers or licensors be liable for any injury, loss, claim, or any direct, indirect, incidental, punitive, special, or consequential damages of any kind, including, without limitation lost profits, lost revenue, lost savings, loss of data, replacement costs, or any similar damages, whether based in contract, tort (including negligence), strict liability or otherwise, arising from your use of any of the service or any products procured using the service, or for any other claim related in any way to your use of the service or any product, including, but not limited to, any errors or omissions in any content, or any loss or damage of any kind incurred as a result of the use of the service or any content (or product) posted, transmitted, or otherwise made available via the service, even if advised of their possibility. Because some states or jurisdictions do not allow the exclusion or the limitation of liability for consequential or incidental damages, in such states or jurisdictions, our liability shall be limited to the maximum extent permitted by law. You agree to indemnify, defend and hold harmless Direct Mail Impressions and our parent, subsidiaries, affiliates, partners, officers, directors, agents, contractors, licensors, service providers, subcontractors, suppliers, interns and employees, harmless from any claim or demand, including reasonable attorneys’ fees, made by any third-party due to or arising out of your breach of these Terms of Service or the documents they incorporate by reference, or your violation of any law or the rights of a third-party. These Terms of Service and any separate agreements whereby we provide you Services shall be governed by and construed in accordance with the laws of 1200 S Rogers Cir Suite 8 Boca Raton FL USA 33487. By agreeing to the terms and conditions you are also agreeing to receive promotional and other marketing emails from Direct Mail Impressions. You can Opt-out at any time. Questions about the Terms of Service should be sent to us at info@maildmi.com.